Dough ingredients: wheat flour, water, margarine (partly-hydrogenated vegetable fat: palm oil and refined vegetable oils: palm oil and sunflower oil 80%, water, emulsifiers – mono- and diglycerides of fatty acids and sunflower lecithin, cooking salt (0.5%), acidity regulators: lactic acid, citric acid, preservative – potassium sorbate, flavoring, color – beta carotene. ), refined vegetable fat, yeast, salt, additive (dextrose, emulsifier: mono- and diacetyl tartaric acid esters, mono- and diglycerides of fatty acids, refined rapeseed oil, antioxidant: ascorbic acid). 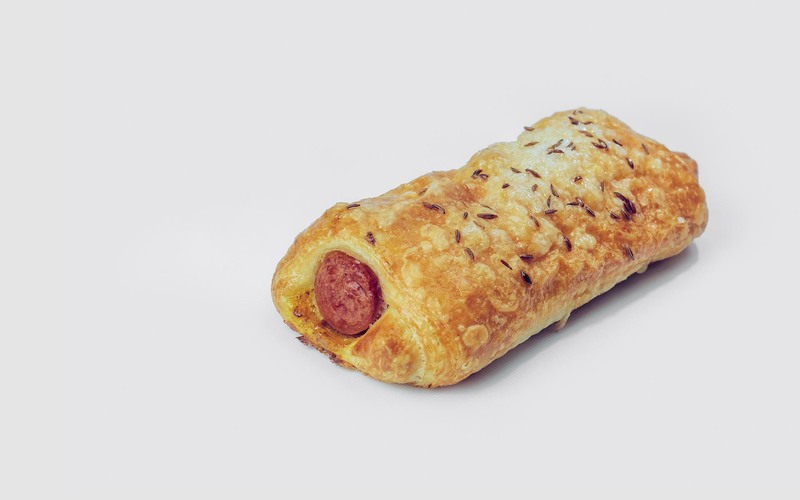 Filling ingredients: chicken hot dog (boneless chicken meat, water, starch, soy isolate, salt, preservative E250, thickening agent Е412/Е415, stabilizer E450, antioxidant E315, acidity regulator E262, dextrose, spice), mustard. 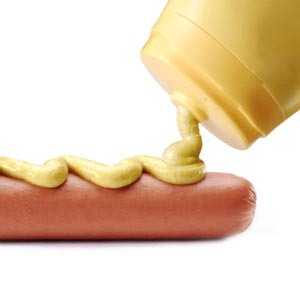 gluten, mustard, soy. May contain traces of sesame.